One of the great things about modern day smart phones is the ability to customise your phone exactly how you want it. You're not limited by just changing the background or the ringtone but you can change literally everything about the phone. 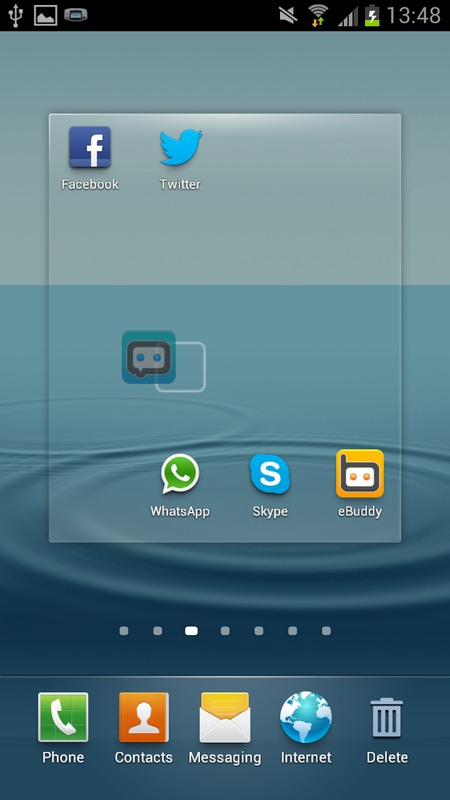 This guide hopes to show you have to move icons as further customise how your phone looks. Whilst this guide was done with screenshots from a Samsung Galaxy S3, the same method applies with pretty much every phone running Android. 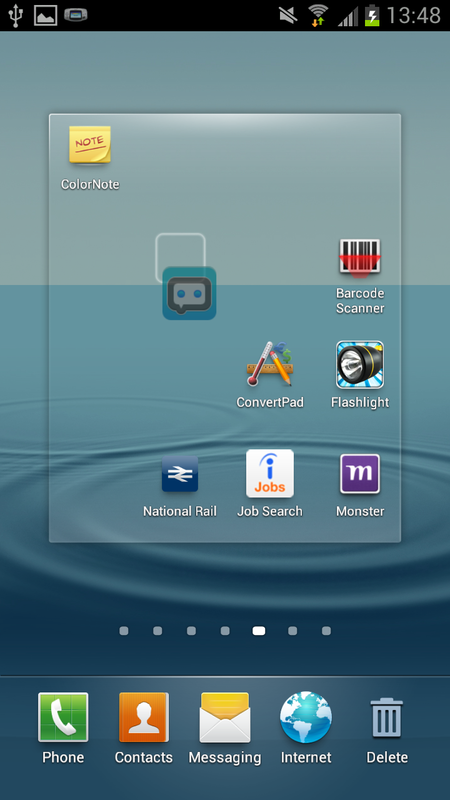 Firstly you need to open up your home screens and find an icon you want to move. 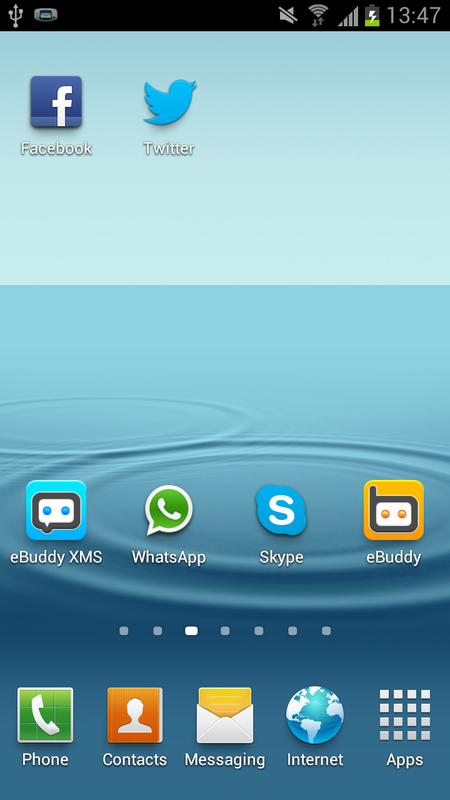 For this example I will be selecting the icon for "Ebuddy XMS", which is sat on the bottom left corner of the 3rd home screen (See top left). To select the icon you need to hold your finger on the icon for a few seconds and this will then allow you to drag the icon around the screen. You can not only drag the icon around the same screen as it started on (see the picture on the right) but also place it on other screens by dragging the icon to edge of one of the screens. This allows you to drag the icon to any of the phone's home screens as you perhaps choose to put your most regularly used icons to the first screen whilst your lesser used icons can be put to the most distant homes screens.